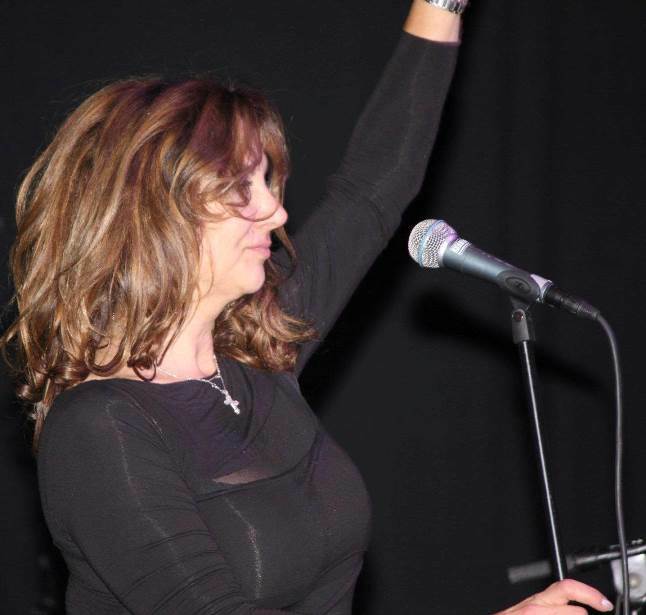 Tamara Champlin Will Rock Your World! Tamara Champlin’s vocal and songwriting repetoire is as diverse as the cities in which she has lived. Born in St. Louis, she lived her early childhood years in Arkansas, had a brief stop in Chicago and graduated from high school in Houston, Texas and today she makes her home in southern California. Champlin has the ability to belt out a Rock song with razor sharp and gritty vocals as she does with her original “Stone Cold,” also recorded by Paul Rodgers (Bad Company, The Firm, Free, The Law), for his album Laying Down The Law and the Rock / Funk “You Won’t Get To Heaven Alive,” another original creation by Champlin bears witness to vocals that are reminiscent of Janis Joplin. Tamara Champlin draws the listener in with her emotive phrasing on the mid-tempo, love letter “Chasin’ The Moon.” Her “Backstreets of Paradise,” immediately gets you moving to the music and as good as the music is, throughout these songs, it is definitely Tamara Champlin’s powerful and quality vocals that drive these tunes. Tamara Champlin has three gold records to her credit as a songwriter and her own album, “You Won’t Get To Heaven Alive,” charted in the top twenty in Spain, while her song “Tragic Black,” went all the way to # 1 in Germany. She has collaborated with artists and songwriters as stellar and diverse, as her husband Bill Champlin (Chicago, Sons of Champlin), Michael Caruso (her longtime songwriting collaborater), Swedish songwriter, producer and musician Douglas Carr who has worked with some of Europe's and America's biggest artists including Swedish superstars Meja and Björn Skifs, Ace of Base, Jessica Folcker, Nick Carter and NSYNC. Chris LeDoux’s hit song “Runaway Love,” was written by Champlin and Caruso. Her songs have also been recorded by Chicago, The Doobie Brothers, Denmark’s Maria Montell and Dutch singer Zita. Champlin talks about the early years of her life, “My dad was an engineer with Standard Oil and when I hit the ninth grade he became part of this project where for a year he would go to one place and then for a year they would go to another place and they would build refineries or whatever. From the ninth grade thru my senior year I went to a different high school every year. It was just the wrong time, but there were some good things about it. It is the hardest time in the world for a kid to be moving, but there were incredible things about it. It made me a lot friendlier than you would normally be and I was able to fit in and I was able to figure out the room more rapidly. It makes you a little more adaptable to your surroundings and less afraid of trying new things. It was hard and it was difficult moving from a place where you are comfortable. I am glad I didn’t grow up and finish high school in Arkansas. It was a nice and beautiful little town, but I did not want to live there. Ending up in Houston was a pretty good balance. In 1979, while still in Houston, Mickey Gilley invited Tamara Champlin and her friend Becky Conway to appear as background singers with his band in the movie Urban Cowboy (released in 1980). “At the time we were both singers in town and everyone liked us. She was a blonde and I was a brunette (she laughs) and we just looked cute. We were always out there doing sessions everywhere and Mickey said when we do this movie (Urban Cowboy) we want you girls to come and sing with us. He was just really sweet about that. It was a really nice thing. He followed through and it was thrilling, because you don’t get called to do a lot of movies in Houston. Getting called to be in a movie was fun. The first thing we knew we were up there singing in the studio and Bonnie Raitt walked in and we were just flabbergasted. We were in awe. That was more exciting than meeting John Travolta,” she says. “I felt like I had done everything that I could and I was looking to do more. I would sing with a Rock band or R&B bands and I would do old R&B songs. In Houston at the time (you did what was necessary) to make a living and there were tons of bands to play with. I think a lot of places were that way. There was a lot of live music and in Houston it was more of a commercial thing (versus) Austin, where it was so much more creative. I also would go to Austin a little bit,” she says. Not long after Urban Cowboy was filmed, Champlin moved to Los Angeles. “I was hanging out (in LA) with friends that I knew from Texas and they said, you need to meet Champlin (Bill, now her husband), because one of the guys knew Bill. Three weeks later I met Bill when he came into the club. I knew (of him), because of my friends, although I didn’t really know what that meant or who he was. I thought they were a Scottish band, because at the time I think they were playing with the Average White Band. I thought they were all from Scotland (she starts laughing). That’s kind of dumb. When I met him I just gave him a hug and said, oh hi Bill, just like I knew him. It is funny, because he had friends telling him that he had to meet me too. They told him you ought to hear this girl sing and you ought to meet her. I can’t even remember if he called me or I called him. It has been thirty years now. We were both on the road. We went out one night and we saw somebody sing, hung out and had a drink or something and then we both went on the road. About six weeks later we both came back into town and I think that I called him again. We ended up hanging out forever and that was really it. We were kind of joined at the hip from then on,” she says. In 1980 and 1981 Tamara Champlin’s music career got a couple of good breaks that allowed her to showcase her talents as a singer. “I sang with a group called Heat with Tom Saviano. Tom is one of my oldest friends and there were three singers in the group, one of whom happened to have been his wife and they were getting divorced, so I took her place. We were working together for a year or so. We recorded some things and we wrote some things and then I ended up going on tour with Rita Coolidge in the summer of ’81. I went to South Africa on my first road trip and during apartheid of all things. She had Venetta Fields and Paulette Brown, who were her singers and they chose not to go, because they were black and they just didn’t feel comfortable, they didn’t feel right, because they were all boycotting South Africa. I was lucky enough to get the job singing with her (Rita Coolidge). She is one of the sweetest people that I have met in my life. She is a beautiful lady,” she says. I sang in the (film) Copper Mountain and it was right after Bill and I got married in ’82, but it may have come out in ’83. It was in January or February, because we had only been married about three months. We went up there and played with Alan Thicke, who has been a friend of ours since the first night that we went out. I was singing with Bill. Rita Coolidge and Ronnie Hawkins were also singing. It was a fun thing. We just had a great time with everybody involved. We didn’t know it was going to be a movie. It was like Bowfinger or something. It was like we were being filmed for a movie without knowing about it. It was like something Bill Graham would have done. I don’t think any of us recall that it was going to be a movie. The next thing we knew a few years later we saw that the movie was out. The great thing about that was we spent a few days with Jim Carey who was still an unkown guy, a complete unknown guy. He was still an impressionist. He was doing all of these crazy voices. He had us all in a room and everybody was there, the makeup people and the hair people. He had us all nailed to the floor for three hours straight. He was so funny. Fast forward to 1988 and Tamara Champlin’s song “Heart Of Glass,” co-written with Bruce Gaitsch and Bill Champlin was used in the film Caddyshack II. At first the studio and Sony were going to use someone else to record the song for the movie. “Jay Graydon was going to produce it and he said, I will take care of this and he did. He made sure that I sang it. Jay just went in and he said this will be great. She is the right person to sing this. It was a good little record. It was I guess the first single, but it didn’t do much, because it was hard to sit through the movie. It wasn’t like Caddyshack (the original movie). You win some and you lose some with those films. I have done quite a few (songs) for films, but I can’t keep up with them,” she says. During the early and mid 1980s Tamara Champlin also was the regular singer with the band on the television program Thicke Of The Night and she performed gigs, at Josefina’s on Ventura Boulevard and at Fellini’s with the R&B / Funk LA band Pockets. Although, the album You Won’t Get To Heaven Alive, was not released until 1995, it too started in the ‘80s, 1987 to be precise. Champlin started writing songs and recording with longtime Houston, Texas friend Terry Wilson. “I had a studio and we just started working and writing things together and it became an unusual sounding thing (that created) a bit of a buzz. I was fortunate to get an exciting record deal at the time through BMG and by the time we signed it, it was ’91. At that point it was over and the management that I was dealing with changed. If you don’t get that moment when you get the wave of energy, if everything doesn’t follow through, if your machine isn’t altogether and your head is not altogether you will lose it. Having a record deal seemed like everything, but you realize it really is nothing. It was a lot of work and a lot of disappointment, but what are you going to do? I have written a lot of great songs with a lot of great people,” says Champlin. When a songwriter’s songs are recorded by other artists, often the songwriter lives their life in anonymity or at least, as much as that relates to those outside of the music community. When asked if that sense of anonymity affected her, Tamara Champlin came up with one of the best answers ever. “That’s why songwriters like to get paid (she laughs). If you aren’t going to get noticed, at least you are getting paid! If you are going to be a songwriter and you are going to see somebody record it, you are going to be paid for that intellectual property. We should call it that, because there are people who say, oh it is just music, you should give it away and you can’t. You just can’t do that. Do you want to give away your movie or do you want to give away your TV show? I have a wonderful friend who says, you pay four dollars for a cup of coffee at Starbucks that is going to go through your kidneys in about three minutes and you can’t spend a dollar to pay for a record or a piece of music that you are going to download. You have to steal that? I can understand not wanting to put your credit card online and everything. When you consider that people throw money away… They have a hundred dollars pairs of tennis shoes that they are walking around (wearing) in the dirt, but they aren’t going to pay $1 or $1.29 or $.99 for a song that has taken somebody all of their life to write or to get it recorded,” she says. It would be very accurate to refer to Tamara Champlin as a singer-songwriter who has garnered a lot of attention and respect on the international music scene. She has three gold records in Europe, as a songwriter while working with artists such as Sweden’s Jessica Folcker (Champlin wrote the hit song "Miracles.") (also appears as Jessica Folker), Björn Skifs and Emilia (Champlin wrote "Sorry I'm In Love.") Other European artists who have recorded Champlin’s songs and enjoyed great success with them include Denmark’s Maria Montell and Holland’s Zita. She has also collaborated as a songwriter with Sweden’s Douglas Carr and Andreas Carlson (songwriting credits include, Carrie Underwood, Celine Dion, ‘N Sync, LeAnn Rimes, Backstreet Boys). Tamara Champlin talks about the Swedish connection. “Oh my gosh that is the funniest thing in the world. When we were over there performing and I ran into Douglas Carr in the lobby and Andreas ended up in almost every picture with Bill. He was working as a bus boy at the Grand Hotel or something like that. He was just a kid, but he was a great singer and guitar player too. He ended up in all of these photos with Bill and Bill said hey, anytime you are in LA if you want to get together and write, come on over and we will write something. The next thing that we knew Andreas was at our doorstep. He gave Bill a call and he came on over. I think I was working in Nashville at the time. They just hung out for a week and had tuna fish sandwiches and they wrote a couple of songs. After he came over and he wrote with Bill he became part of Max Martin’s (iconic songwriter) group after that. If you read Andreas’ book he starts the first chapter with coming to our house and writing with Bill and that is really what kind of set things in motion for him. Douglas Carr was producing Björn Skifs and he asked if he could come over and do some horns at our studio and maybe write some songs. We had just done Maria Montell’s record. We translated and rewrote some things in English for Maria’s record. We had written several songs together and I just love Maria, she is a sweetheart. She is a beautiful girl. Then I think the next time that he (Douglas) came it was with Björn and we were working on his record. We ended up writing some things (including) “Straight Back To You,” (recorded with Jessica Folcker). Tamara Champlin is still having a lot of fun performing and writing songs and she and Bill are proud of their son Will, a rising star on the music scene, who gained some notoriety on the television program The Voice.